The following information has been gathered from local and national newspapers as well as the following books: “Twelve Days of Grace” by G Derek West; “A Short Account of the career of the eminent cricketer Robert Carpenter” by A W Spratt;”Cricketana” by Rev J Pycroft;”The Elevens of England” by G Derek West; “Scores and Biographies” edited by A Haygarth; “Players” by Ric Sissons. Had a fair complexion and strong physique, being of medium height and 11-12 stone in weight. Described as an equable companion, having the qualities of patience, manliness, sobriety and self respect, he was also “fond of a joke”. Good at cards. He outlived many of his contemporaries. Was father of nine children. Early on he fielded behind the wicket-keeper at longstop but became one of the best point fielders of his time, taking tremendous catches, securing run outs and keeping down the runs. Held over 800 catches in his career. Said to “chirp” well in the field. Whilst not used much in major games he could also bowl slow underarm which was often successful against odds sides. Was considered to be one of the best captains of his day, although he liked to have his own way. He was also seen as the senior and leader of Cambridge’s professionals. Born 18th November 1830, Mill Rd Cambridge. Died 14th July 1901, Mill Rd Cambridge. Buried in Mill Rd Cemetery. Learned his cricket on Parker’s Piece, an area of common ground in Cambridge, popular with cricketers. I have found no further mentions of Carpenter in local papers until 1855, although there are a few references to a “Carpenter” with no initial given which may have been Robert, but from what brief comments there are it seems more likely they referred to one of his brothers, George or William. Robert worked as a bootcloser and may have followed that profession right up to becoming a full-time cricket professional in around 1854-58. He does not appear to have played for local Cambridge clubs such as The Britannia or Hope, which flourished in the early 1850’s. Was engaged by Godmanchester CC (in Huntingdonshire) in 1854. Made his first-class debut for Cambridge Town against the university in 1855, making 15 runs at No. 7, including a four to square leg, a shot he was to become famous for. He also took a one-handed catch at longstop. “played uncommonly well”. Was engaged by Ipswich CC and played for other Suffolk clubs from 1855-57 . Was engaged by Cambridge University CC (CU – a couple of months per season) at the latest from 1856 and probably most years up until 1872. Was engaged by Birkenhead CC in 1858 and made his first appearance for the UAEE that season. Played for UAEE for more than a decade, during which time he was their major player, in time becoming captain and secretary, keeping the team going despite the North/South split of the mid 1860’s. Scored 45 in his first 11-a-side match for UAEE against AEE – “stamped him as a man of mark” – and 84 for Married v Single at the Oval in the same year. Was engaged by Marlborough College 1859-60. By now he was one of England’s top cricket professionals, playing 11-a-side matches for UAEE, the Players and the North and against various sides around the country for the UAEE in odds matches against sides of 18-22 men. Around this time there were plans to form a Cambridgeshire County Club. Carpenter pledged his assistance to such a venture. !860 – Carpenter’s style of play was especially suited for bad wickets and poor weather. The poor summer of 1860 did not stop him scoring 119 for Players v Gents. It was also good for his bowling especially in odds matches for the UAEE. He took 155 wickets at less than 5 runs a piece. Against 22 of West Bromwich he took 11 for 42 and 14 for 61. 1861 – Carpenter scored two centuries, 100 for Cambridgeshire against Surrey and 106 for Players v Gents. In September Carpenter and Hayward beat Robinson, Darnton and Hornby of Stockton-on-Tees by 55 runs at single wicket, the first three single wicket matches they played at around that time, under the promotion of a Mr Jackson ( a bookmaker I believe). Carpenter was initially approached to join the first England tour to Australia, but was not in the final party, it is supposed because he did not approve the terms offered. 1862 – Made 122 v 22 of Hampshire and 108 v 22 of Oldham, plus two 11-a-side innings of over 90 including a 5¼ hours 91 not out for the North v Surrey. Carpenter, Hayward and Tarrant lost a single wicket match to Clarke, Daft and Jackson of Notts, but won against five of Yorkshire as well as beating 5 of Stockton and Yorkshire. 1863 saw the beginning of a dispute between Northern professionals and the South leading to a refusal to play at the Oval. The Cambridge pros were closely allied to the Nottinghamshire and Yorkshire pros, forming the caucus of the northern protest. 1863/4 – 2nd England tour to Australia and New Zealand included Carpenter, Hayward and Tarrant of Cambridgeshire. Carpenter scored the first century by an Englishman in Australia. It took him 9 hours to score 121 against 22 of Ballarat on a poor wicket. On the whole tour he made 447 runs at an average of 18.62, all on poor wickets, and took 67 catches. 1864 – Surrey offered to pay for Cambridgeshire to play Surrey. Carpenter, Hayward and Tarrant refused to play according to Haygarth. He cites this as the reason that the fixture was not played. 1865 – scored his highest innings in first class cricket – 134 for AEE v Yorkshire, which was also the highest 1st class score for AEE. 1868 – Two benefit matches for Carpenter and Hayward, AEE v UAEE and Cambridgeshire v CU, raised £335 and £100 respectively. Is said to have had disputes with the Cambridgeshire Club, refusing to play unless he was captain. I have found no direct evidence of this, but there are mentions in County Club meetings such as “everyone wants to be master” and of the professionals evincing “ignorance and unhappy spirit” by playing only when they liked. Both Notts and Yorkshire seemed to have communicated directly with Carpenter to arrange matches. Haygarth, the editor of “Scores and Biographies” was very scathing about Carpenter, Hayward and Tarrant, together with other northern professionals, regarding them as mercenaries who put money before their county. Unfortunately there was little money to be made from playing for Cambridgeshire, a club which played relatively few matches and was always in financial difficulties. Accordingly those that could needed to seek employment either with other clubs or with one of the touring elevens such as the UAEE or AEE. 1869 – John Perkins, chairman of the meeting to dissolve the County Club, was moved to write to the press to defend Carpenter and Hayward from allusions in the Cambridge Independent Press’s report of the meeting to their not deserving their testimonial benefits. Later in the season the same paper referred to Carpenter and Hayward as “such well conducted citizens and excellent cricketers”, though the same article sited the North/South split as depriving the County Club of matches with Surrey and a consequent loss of financial support. Mention was also made of some gentlemen cricketers preferring to shoot partridges than turn out in a cricket match. What’s good for the goose……. C & H not engaged as CU professionals. 1871 – scored four consecutive not out innings in one week. Played his last first-class match, for the North, in 1876. Scored 89 on ice for Cambridge Town v Cambs in 1878. He was a good skater. 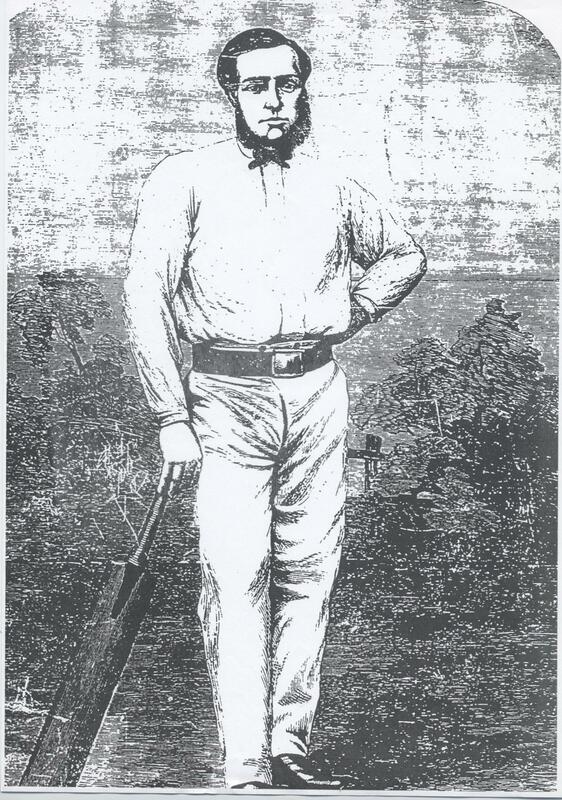 From around 1876 Carpenter became an umpire. Umpired for Notts for 22 years and in two test matches. Custodian of Parker’s Piece in 1881. 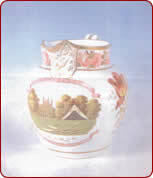 His son Herbert played Essex and Herbert’s nephew, Jack O’Connor, played for Essex and England. Died on 14th July 1901 at his home in Mill Rd, Cambridge. Buried in Mill Rd Cemetary, Cambridge. Played three times for Cambridge Town v University in 1855, 1856 an 1861 and only occasionally for the town in other matches. Played 32 times for Cambridgeshire, making 1487 runs at an average of 31.42. Made 611 runs for the UAEE v AEE at an average of 24.44, taking 25 catches. Overall for UAEE in 11-a-side and odds matches he took 273 catches. Played three 1st class matches for the AEE during his career, scoring 195 runs at an average of 48.75. Played 18 times for Players v Gents, scoring 725 runs at an average of 26.85 and taking 25 catches. Played for North v South 1858-65 and 1870-73. In a 22 year career he scored 14,600 runs in 766 innings, with 81 not outs and 5,220 runs in 1st-class matches at an average of 24.39, with 190 catches, and that’s not counting his efforts in odds matches.